Only five and half years late to the battlefield, it's Forum Horde #106 Real World Armies! 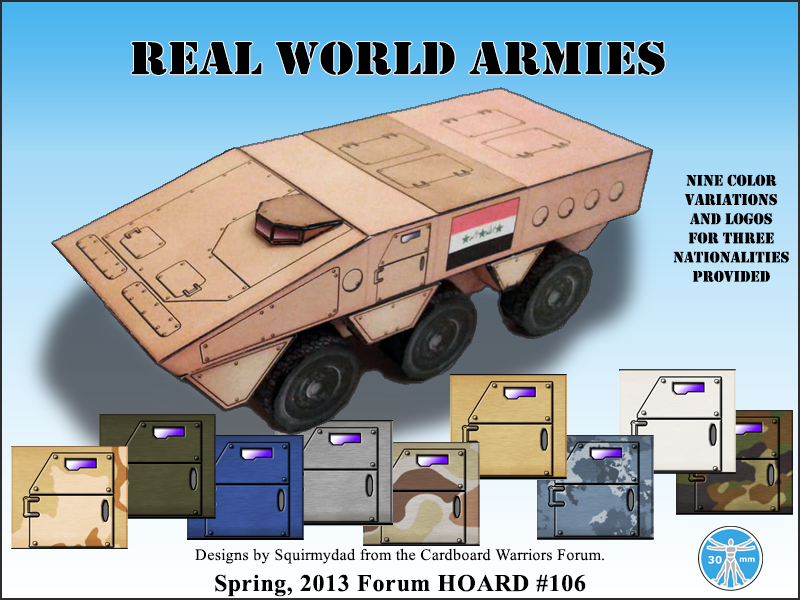 Since the only entry for this lost Horde is my Urutu I decided to create some variety and there are nine different color variations plus three with Iraq, Brazil, and UN markings. One small step for a paper model, one giant step for paper modellers. 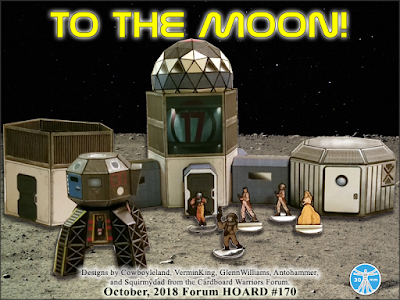 It's Forum Hoard #170, To The Moon!